Calculates Tom DeMark's Range Expansion Index. Going above 60 and then dropping below 60 signals price weakness. Going below -60 and the rising above -60 signals price strength. For more info see The New Science of Technical Analysis. I have modified the Tom DeMark's Range Expansion Index for Forex Market. Going above 30 and then dropping below 30 signals price weakness. Going below -30 and the rising above -30 signals price strength. Damiani Volameter (Threshold level 1.6) to determine the trade zone area. The trade zone area is when the grey line is > green line. 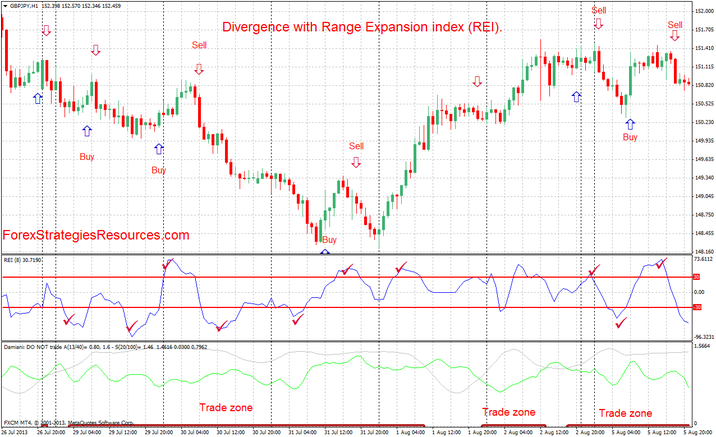 Trading Rules: Divergence with Range Expansion index (REI). For Entry wait the firs buy arrow FXCX Divergence, Entry signal. Discretionary. 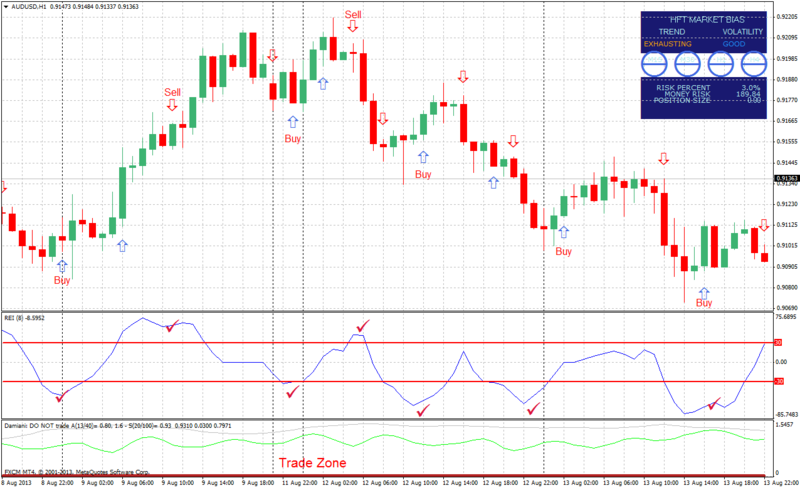 Fast profit target predetermined,that depends by time frame and currency pair. Range Expansion Index (REI) Trading System: Indicators and Template. 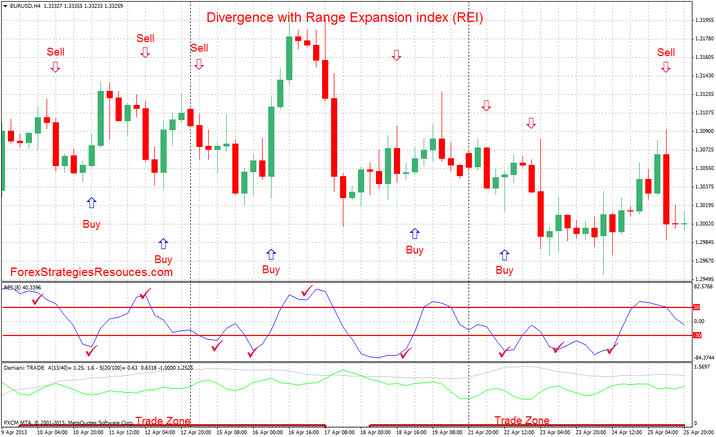 Share your opinion, can help everyone to understand the Range Expansion Index (REI) Trading System. HFT2 no repaint it is simple. See Picture.